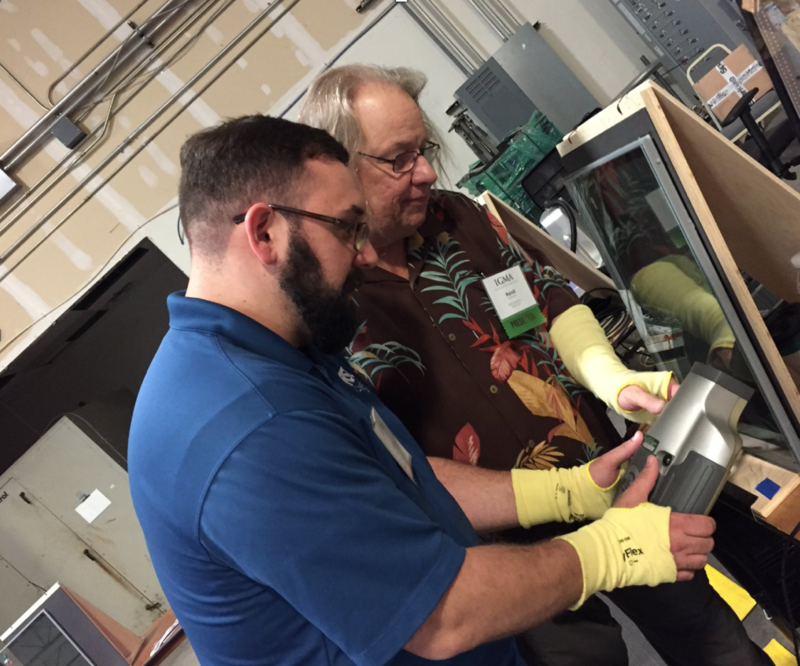 Last week, Katy Devlin, the editor in chief of Glass Magazine, took part in the first of two back-to-back sessions of the interactive IG Fabricators Workshop, hosted by the Insulating Glass Manufacturers Alliance (IGMA) and held at Intertek in Plano, Texas. 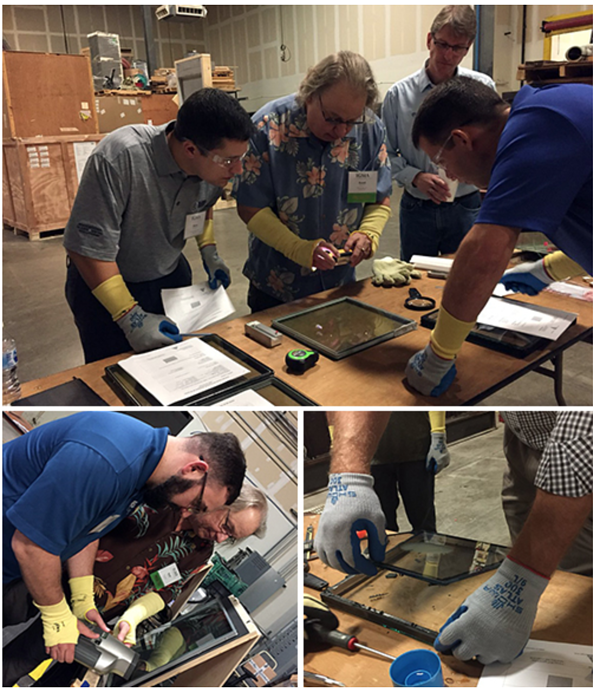 The workshop invited attendees from all over the industry to get a thorough hands-on education in the complete insulating glass fabrication, non-destructive insulating glass gas fill testing and forensic investigation process. The original article was published by Glass Magazine and written by Katy Devlin, the editor in chief of Glass Magazine. Ms Devlin attended the workshop along with about 30 other industry representatives. Many came from glass or window fabricators, some from component or equipment suppliers. Some tout decades of experience, others just a few weeks. But no matter the experience level, the multi-part three-day event provided opportunities for all attendees to come away with everything from important safety reminders to critical quality control methods. "Looking ahead, we will recommend that we send our new people to this along with some of our seasoned guys. It’s important to understand why we’re doing what we’re doing; to correct bad habits," said one attendee from an entry door manufacturer. The workshop began with two classroom sessions. 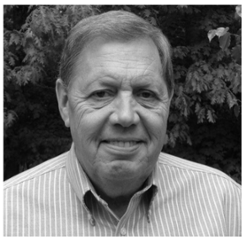 The first one was a glass safety presentation from Mike Burk, chair of the IGMA Glass Safety Awareness Council and Sparklike North American Technical Representative. The second classroom session was a complete breakdown of IGU design and components parts from Jeff Haberer, technical services, Trulite Glass & Aluminum Solutions. The remainder of the sessions took place in the test laboratory space, where workshop leaders demonstrated IGU test methods, such as, non-destructive insulating glass gas fill analysis. Other topics were frost point testing and volatile fog testing; taught quality control checks for desiccant, gas fill and sealants; identified spacer types and spacer issues to watch out for; and presented common issues with glass cutting and glass washing. At top, a workshop group performs a visual inspection on an insulating glass unit. Lower left, Randi Ernst, CEO of FDR Design, helps an attendee to measure the insulating glass gas fill non-destructively with Sparklike Handheld™ device. Lower right, a group leader disassembles a failed insulating glass unit to determine the cause of seal failure. View complete photo and video coverage from the workshop by clicking this link.